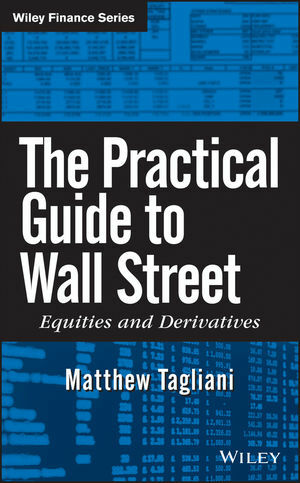 Matthew Tagliani, CFA, has more than ten years of trading and risk management experience in equity swaps, ETFs, futures, and program trading. He has worked at Morgan Stanley, Goldman Sachs, and Credit Suisse and holds a master's degree in applied mathematics from the University of Massachusetts Amherst. Chapter 1. Equity Fundamentals (Part 1): Introduction to Financial Statements. Chapter 2. Equity Fundamentals (Part 2): Financial Ratios, Valuation and Corporate Actions. Chapter 6. Exchange Traded Funds (ETF). Chapter 7. Forwards and Futures. Chapter 11. The Trading Floor. Chapter 12. Macroeconomics for Trading and Sales. Chapter 13. Economic Data Releases.